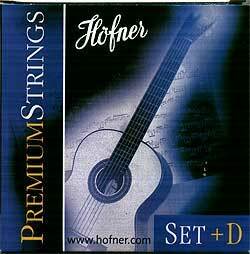 Höfner Premium Strings for Classic guitar. Premium Strings. New Material simular to Carbon but superior tone. Special Alloy Bass Strings prohibits early corrosion.Complete Set with 2 D-Strings.